In sports the over representation of the black male body as object occupies a space for continuous and expected physical performance. The heightened spectator gaze can vacillate from doting fan to menacing crowd especially now when more professional athletes are actively choosing to exercise their voices on social justice issues. The discussion will examine the history, legacy and tools for social engagement with Doug Glanville (author, former American Major League Baseball player, and former ESPN baseball analyst); Melvina Lathan (former Chairperson New York State Athletic Commission and Professional Boxing Judge, Director of Youth Services Yonkers Police Athletic League); Pellom McDaniels III, Ph.D. (curator of African American collections in the Stuart A. Rose Manuscript, Archives, and Rare Book Library at Emory University) and Kevin Merida (Senior Vice President at ESPN and editor in chief of The Undefeated, a digital platform that mines the intersections of race, sports and culture). Moderated by Millery Polyné (Associate Dean for Faculty and Academic Affairs & Associate Professor, NYU Gallatin). 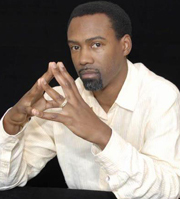 Doug Glanville is a former Major League Baseball player who played outfielder for the Philadelphia Phillies, Chicago Cubs and Texas Rangers. He now shares his experience and knowledge through books, speaking engagements and sports commentary. As the author of much-praised book The Game From Where I Stand, Glanville offers insight about baseball and how the sport translates to everyday life. Part of his mission is to bring together different kinds of people and create understanding among them. Glanville’s career as a writer and analyst includes work for NBC Sports Chicago, ESPN and The New York Times. He has also contributed to XM Radio, Comcast SportsNet Chicago and TIME.com. He is a board member of the Major League Baseball Players Association. 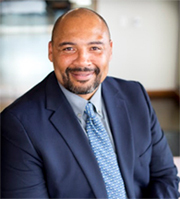 Glanville is active in the community where, among other things, he is committed to improving community policing and raising the quality of public education through school equity and enhanced programming to support students of diverse backgrounds and educational needs. He is currently at NBC Sports Chicago and teaches a course at Yale University. 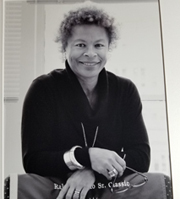 The New York State Athletic Commission’s former Chairwoman Melvina Lathan has led a dual career as an exhibiting mixed media artist and a distinguished Professional Boxing Judge. In 1991, after many years of amateur boxing affiliation, and completing an extensive professional judging apprenticeship, she became the first African American Female licensed as such by the State of New York, and would later become the first female to ever head the State’s Athletic Commission. She was licensed in many states and jurisdictions, including New York, New Jersey, Pennsylvania, Florida, Tennessee, California, Texas, Missouri, and the Oneida, Pequot and Mohegan Tribal Nations. She was a long-time member of the IBF, WBO, WBC and IBO, and during her career worked more than 235 fight cards (883+ bouts) including 84 World Title Contests in the U.S.A., Great Britain, South Africa, Germany, Denmark, Italy, Sicily, Argentina, Amsterdam, Poland, Scotland, Hungary and China. As Chair of the NY State Athletic Commission, she has overseen thousands of rounds of boxing. Lathan devised and conducted training seminars for judges by invitation and has judged for all of the major world and international sanctioning organizations and received many boxing related honors. 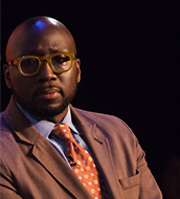 Pellom McDaniels III, Ph.D. is the curator of African American collections in the Stuart A. Rose Manuscript, Archives, and Rare Book Library at Emory University. He is the author of The Hemp Breakers (2018) and The Prince of Jockeys: The Life of Isaac Burns Murphy (2013), and editor of two recent volumes Porter, Steward, Citizen: An African Americans Memoir of World War I (2017) and Still Raising Hell: The Art, Activism, and Archives of Camille Billops and James V. Hatch (2016). McDaniels has contributed essays to the International Review of African American Art and to anthologies such as Before Jackie Robinson: The Transcendent Role of Black Sports Pioneers (2017), The Olympics and Philosophy (2012), and All Stars and Movie Stars: Sports in Film History (2010). He has curated more than a dozen exhibitions related to the African American collections held in the Rose Library including “A Question of Manhood: African Americans and World War I” (2017). In 2016, he was commissioned as the lead scriptwriter for “Breaking Barriers: Sports for Change” exhibit for the National Center for Civil and Human Rights. McDaniels is also a visual artist. His 2017 exhibition, “Black: Towards an Afro-Cosmological Understanding,” marked the debut of new works on paper after a ten-year hiatus. Kevin Merida is a senior vice president at ESPN and editor in chief of The Undefeated, a digital platform that mines the intersections of race, sports and culture. He also oversees investigative and enterprise journalism at ESPN, including the TV shows Outside the Lines and E:60. Before joining ESPN in November 2015, Merida spent 22 years at The Washington Post as a congressional correspondent, national political reporter, longform feature writer, magazine columnist and senior editor in several roles. He led the national staff for four years during the Obama presidency, and was managing editor overseeing news and features coverage for three years. During his stint as managing editor, The Post won four Pulitzer Prizes and embarked on a digital transformation that made it one of the fastest growing news organizations in the country. Merida is the co-author of Supreme Discomfort: The Divided Soul of Clarence Thomas and Obama: The Historic Campaign in Photographs. He also is the editor of Being a Black Man: At the Corner of Progress and Peril, an anthology based on an award-winning Washington Post series. Millery Polyné is an Associate Professor and Associate Dean for Faculty and Academic Affairs at New York University’s Gallatin School of Individualized Study. A graduate of Morehouse College (BA) and the University of Michigan with a Ph.D. in History, Millery is the author of From Douglass to Duvalier: U.S. African Americans, Haiti and Pan Americanism, 1870-1964 (University Press of Florida, 2010), the editor of The Idea of Haiti: Rethinking Crisis and Development (University of Minnesota Press, 2013) and The Haiti Reader forthcoming on Duke University Press. 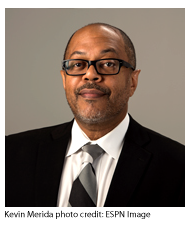 Professor Polyné's current research and teaching examines African American and Afro-Caribbean intellectual history in the 19th and 20th centuries; sports, photography and memory; and aviation and infrastructure in the Americas.